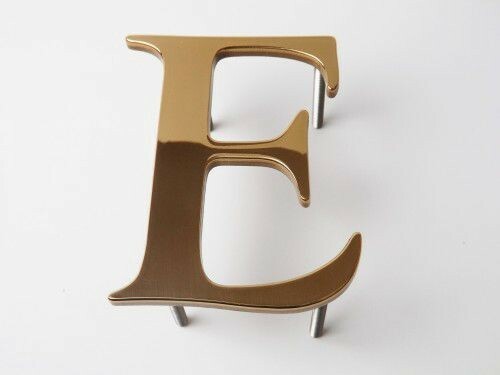 Bronze letters are profile cut from 3mm or 6mm thick solid bronze sheet or they are made from solid cast bronze to a varied depth depending on the size of the letters. Available in polished or brushed finish and clear polyurethane coated. Rod fixings are fitted to the back for wall fixing. 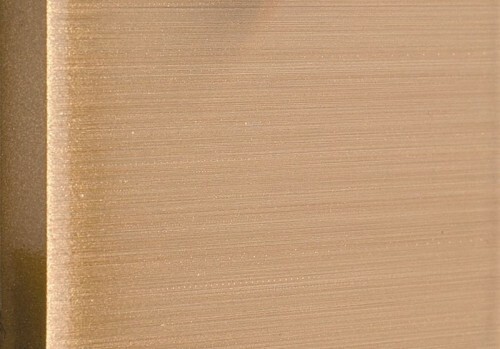 Example of Brushed bronze colour. 175mm high, 3mm thick, rod fixings on the back. Arial Bold font. 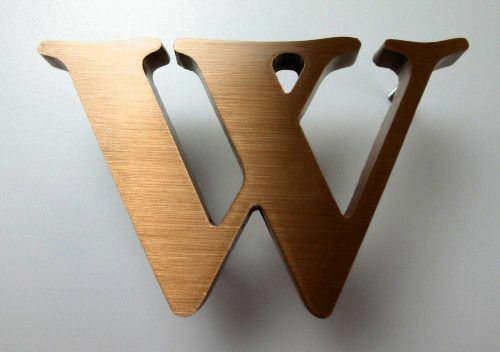 Example of Brushed oxidized bronze letters. Example of Patina Bronze Letters. Example of Cast Bronze with Patina Finish. 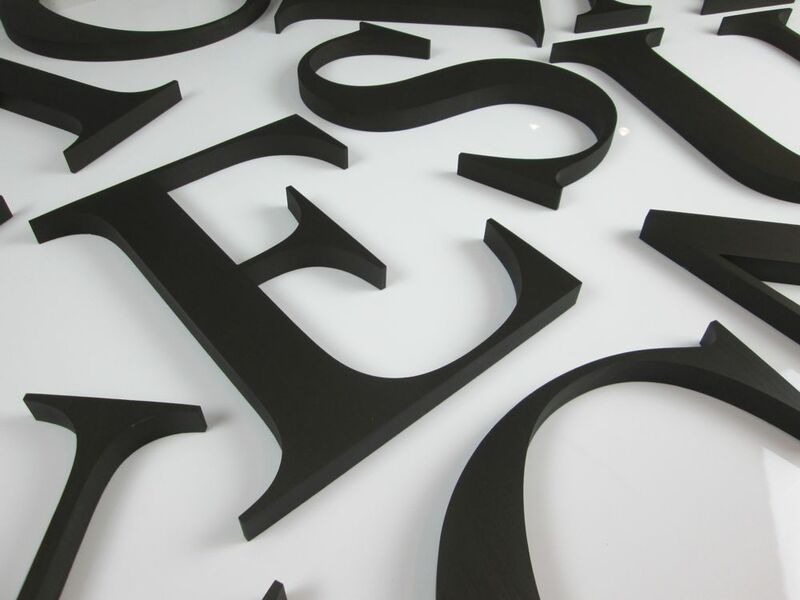 Example below indicates dark anodized bronze coloured aluminium letters. 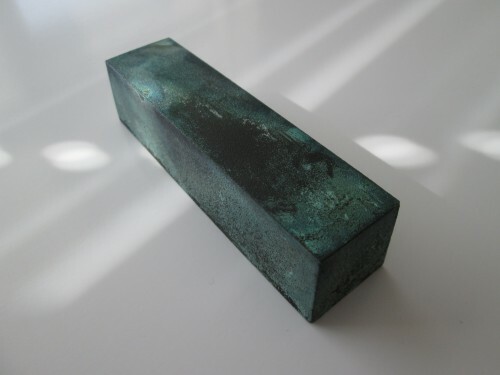 268mm high, 19mm thick. 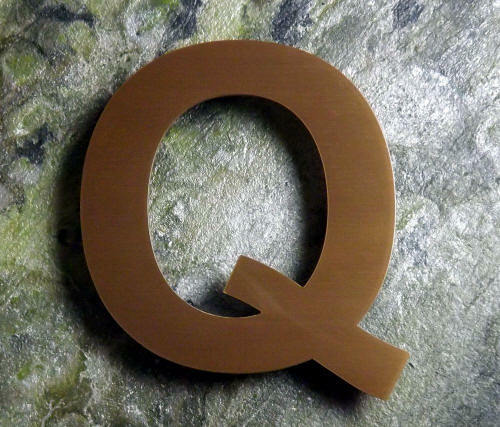 Dark bronze anodized aluminium. 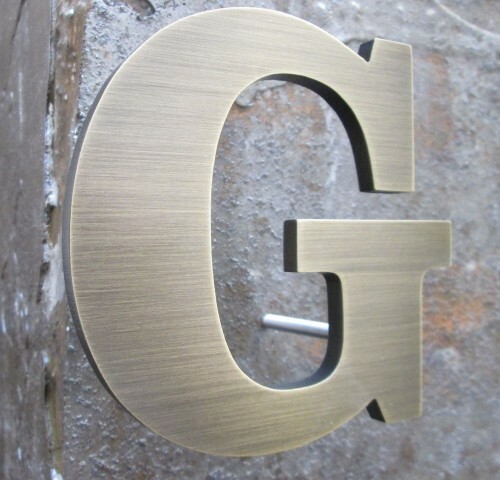 Cast brushed bronze letters. Example shows a 100mm high letter, 15mm thick, Garamond Bold font. other sizes and fonts are available, please ask for a price. 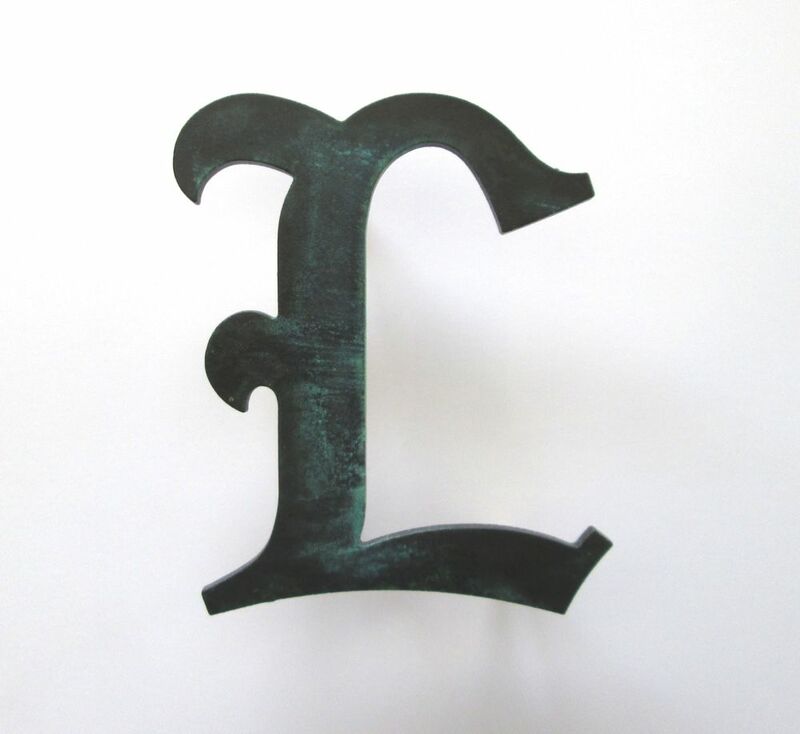 Cast bronze letters. 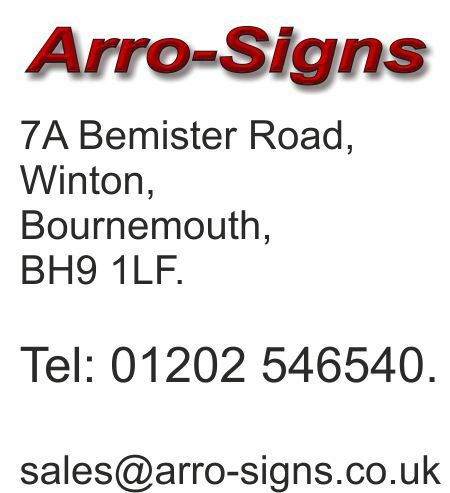 We have a website just on bronze letters and only bronze letters.